How to manage infertility is the million dollar question. Many of my friends are currently enduring this battle, the laborious efforts of the search for motherhood and family, unable to bring a child to life. Some suffer miscarriages — and others haven’t been able to conceive at all. In addition to my friends, 6.7 million women of reproductive age, in the United States alone, have suffered from issues of fertility. The epidemic is on the rise — so I thought JULIA INDICHOVA would be a crucial voice and presence to have on the blog. 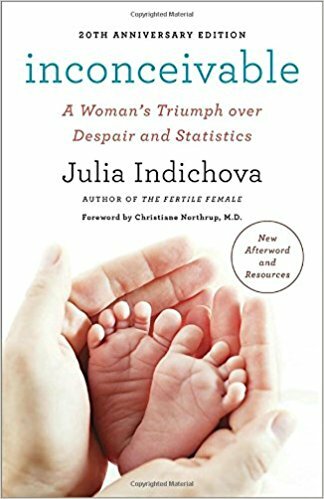 JULIA INDICHOVA is the author of “Inconceivable” (the 20th Anniversary Edition is now available) as well as “The Fertile Female” — and through these books and her workshops – she has been a savior to many. She offers an inspiring and new perspective on infertility and the issues surrounding it. 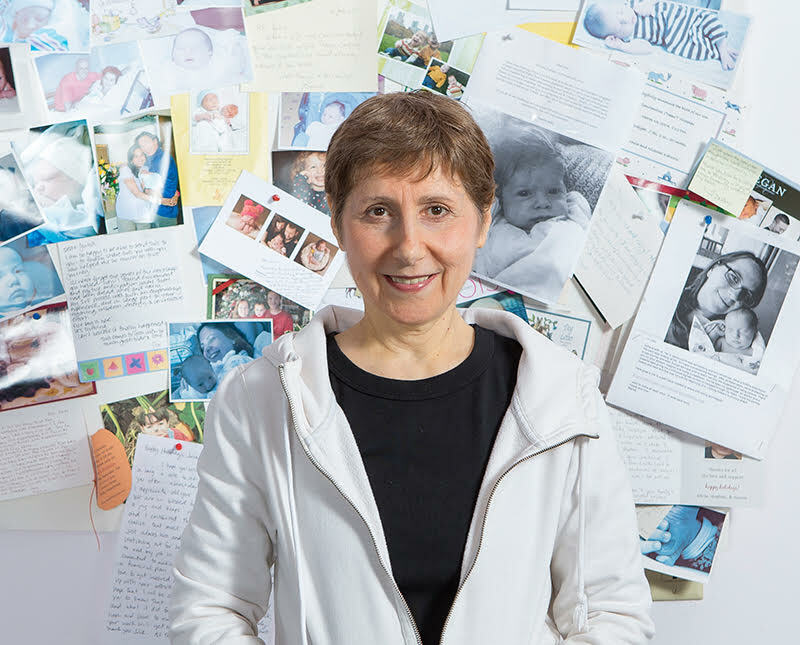 Her work has been endorsed by revered reproductive endocrinologists — and her story and her Fertile Heart Ovum practice have been featured on NPR, OPRAH, THE HUFFINGTON POST, OXYGEN, GOOD MORNING AMERICA and DISCOVERY HEALTH. She’s the first person to write about infertility from the patient’s perspective, rather than from a doctor’s medical vantage point based on Western science and stats. She humanizes women’s efforts and guides them with compassion – as she was once the woman who was told by her medical doctors (as well as unconventional healers) that conception was a medical impossibility. IVF wasn’t even an option for her. To provide some background, JULIA INDICHOVA was the child of Holocaust survivors living in a small Czechoslovakian community. She emigrated to New York where she worked as an actress, dancer and teacher at Columbia University. She got pregnant with her first child – and then hit what is called “secondary infertility” – unable to conceive a second child. She intended to enlist the world’s top medical professionals to track down her last fertilizable egg and begin the path of fertility drugs and IVF; however, her hormone levels were so off, she was advised her chances were 0%. Western medical doctors and nontraditional healers couldn’t “fix” her. This is what led her down the path to mend herself and take matters into her own hands. She adopted lifestyle and dietary changes immediately, nourished herself with supplements, stress reduction, yoga, and emotional therapy. She figured if this wouldn’t conceive a child for her, at least she would be in the best health of her life. Her conviction and action resulted in miraculous hormonal shifts which readied her for procreation — and this, in turn, changed her course of their future. She became a mother of two healthy children and shifted her aim in life to provide hope and inspiration to all the women suffering from the hopelessness of infertility. The Fertile Heart Practice and her two books, “Inconceivable” and “The Fertile Heart” were born. I loved her book, her optimism and her conviction that we can all heal from emotional and nutritional nourishment — as I have always been a huge advocate of healing the root problem rather than bandaging the symptoms. Today, I am honored to be able to sit down with JULIA and ask her the big question that many would love to ask: How did she do it? Julia, thank you so much for doing this interview, for writing your book and for everything you do with respect to health and fertility. And congratulations on the 20th Anniversary of your book “Inconceivable.” What is so interesting is that even though it was written 20 years ago, it’s still relevant and applicable to today’s world. Perhaps even more so. You’re right. I was just looking at the statistics of the Center of Disease Control and it looks like the amount of ART (Assisted Reproductive Technology) has doubled. Let’s start with defining infertility. Is infertility a disease — or is it a symptom of a myriad of physical, emotional, tangible and intangible root causes? Yes, I’ve written quite a bit about this – and I try to speak up about infertility being a symptom and not a disease, even though it has been defined as a disease by the American Society of Reproductive Medicine and the World Health Organization. But if you stop to think about it, you realize that it is a symptom of something. It’s not a disease in the usual sense — but rather, it is an outcome not happening. I’m coming from a place of witnessing it in the past 20 years of my work. It’s not a hypothesis; I am not guessing. I see it in front of my eyes. People have been coming to my workshop, let’s say for 3 years, and then they become pregnant. I didn’t touch them or force feed them – but something shifted in them that made their pregnancy come. I also find it interesting that those who are seeking medical treatment from functional medicine doctors, integrative medicine doctors and practitioners like yourself are finding so much more success than those going the IVF route. Which I hope will be a great trend for the future. How important is the mind-body connection to you in terms of fertility, cancer, heart disease, etc.? Of course. I actually like to talk about it as clearing up the mind-body confusion. It’s not so much about the mind-body connection as it is about realizing that there has never been a mind-body separation. The problem actually is that our thoughts and feelings and familial history is never separate from who we are. It’s not like our thoughts are in New Jersey and our body is in New York City and we have to connect. They’re always connected. It’s a matter of honoring that connection and being aware of it. And then working with it and doing what we can to become aware of how our familial history and our beliefs about ourselves and our bodies all interrelate. You talk about how being the offspring of Holocaust survivors may have attributed to your inability to conceive. Can you expand on this?…. how did your roots tie into your hormone levels, emotional stress, etc.? How do I tie it in? It’s how I live my life. I was born from two people who experienced some pretty horrifying experiences and I grew up in an atmosphere where my parents taught us we had to be grateful for being alive. We had to make sure we didn’t take anything for granted. As I was going through my fertility journey one night, I had a dream that I had a cancerous tumor in my uterus – and that it was a punishment for wanting another child. That’s when I woke up to the fact that there were certain things that I needed to face in terms of what I felt I could ask for in life (that I could ask for a second child) and it was just fine for me to have this wonderful life with this wonderful husband and a wonderful little girl and still want more. So whatever our history is – this particular journey is just a wonderful opportunity for healing. It’s not about how long you’ve been trying. It’s about what you have done in those years of trying. I know when you were initially trying to get pregnant for the second time, you didn’t have the most healthy lifestyle. So what was the impetus for changing your lifestyle and how did you know that changing your habits was going to lead you to your second child? Additionally, would you have the same enthusiastic pursuit and optimism if it didn’t happen quickly? I have a lot of friends going through what you’ve gone through – but it has been many years now. I had no idea that what I hypothesized was going to bring me a child. I was not offered any other solutions from the Western medical community. They told me I had 0% chance because of my hormone levels and my age. The alternative medical community was more optimistic — but I tried acupuncture, herbs, homeopathy, and I still wasn’t getting pregnant. So I had an opinion on what was going on so I was going to follow through on that opinion. And essentially it was about raising my overall level of health and my overall level of energy and that was my first very simple idea. It started with food but the food was a small part of what I did. It ended with me turning my entire life inside out. It’s very much about engaging fully with your own healing and turning this potentially devastating crisis into something that is going to enlarge your life rather than leave you bitter and childless and broke. It didn’t happen fast — it still took me close to 2 years. And I also knew that I was going to live with these changes and maintain these changes for the rest of my life regardless of whether I ended up with a baby. The baby showed up 8 months after I let go of everybody and everything else. It’s not about how long you’ve been trying. It’s about what you have done in those years of trying. I’ll tell you a story of a beautiful mom. She tried for 8 years and she had 15 failed medical treatments. She came to our workshop and then followed up with online support and became pregnant naturally in 4 months. Then there is a woman in Paris and she also had been trying for 8 years — and she was on my online support for 3 years and became pregnant naturally and gave birth a month before her 44th birthday. There are so many women out there, unfortunately, who are being sucked in and going through cycles of treatment. And so many women, too, can’t financially afford these treatments. IVF, surrogacy, etc. For this reason, do you think that a lack of finances can be a blessing? Yes! And that is what I have been saying. And for those who have been able to conceive, what separates them? Is it their conviction and tenacity? What separates those who follow the route but are still unable to birth a child vs. those who are successful with it? Look at the testimonial pages on our website. “Success” in the Fertile Heart philosophy is about birthing a family and the testimonials about those who have been able to birth their family. The stories of women who conceived after a failed donation cycle need to engage with their own healing. Many of the testimonials are those who birthed their families through adoption. I don’t have a percentage that measures how many people conceived from my program, but people have let me know. I had a group where there were 11 women and 6 couples — and out of 11 women, 8 of them gave birth within 5 months. There are incredible statistics. I had another group I was leading where out of 13 women, 9 of them conceived, 3 of them adopted and one was still on the journey when we ended that group. But to me, the gain is that you turn this into something that is a healing journey. How do you explain how so many couples are able to conceive after adoption or surrogacy? 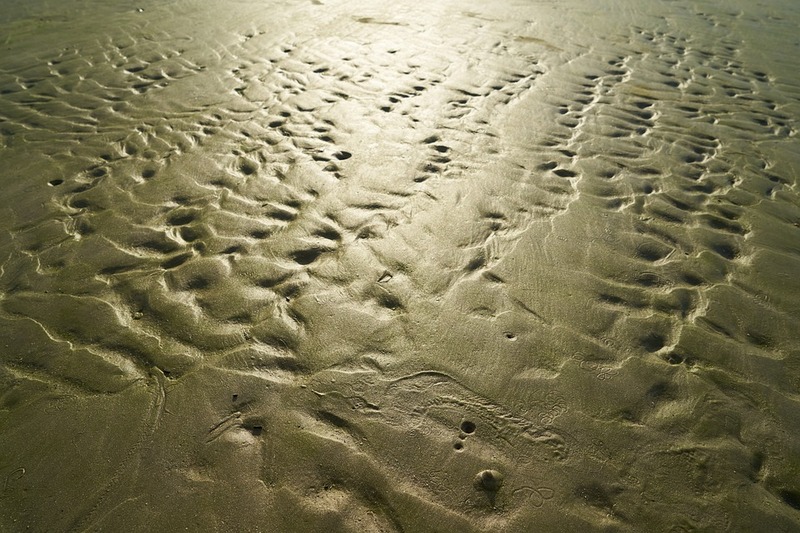 Does that exemplify how much stress affects our body’s ability to conceive? First of all, that’s a myth. I don’t know the statistics but being in this field for 20 years, I know many women who adopted and never had a biological child. The worst thing you can say to someone who’s trying to conceive is to adopt and then you’ll see it happen. It’s a myth too that all you have to do is go on vacation and relax. That attitude marginalizes the person’s role as a primary agent of healing and minimizes how emotionally charged this journey can be for people. This is a major life crisis. Why does it happen? 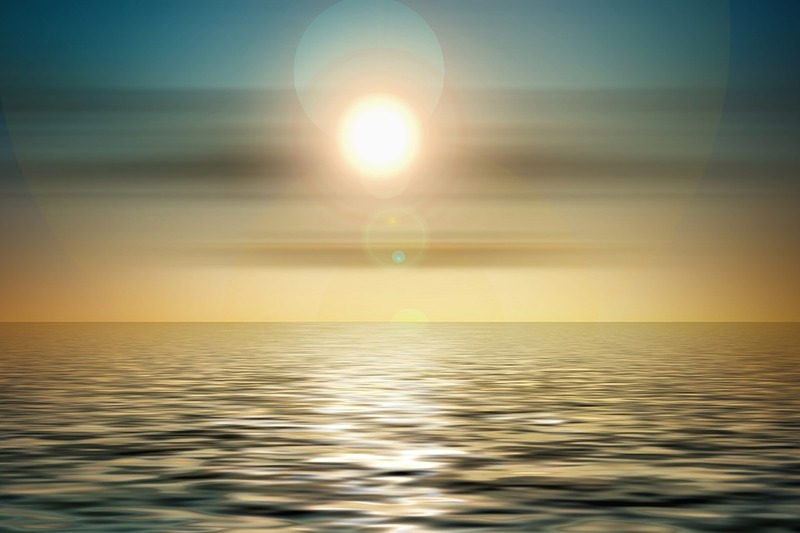 It happens because of healing on a physical, emotional and spiritual level – that affects our biology on every level – that happens consciously and also without our awareness. So it is possible that a woman will adopt and through her relationship with the child and her own life and countless other variables – some healing happens that opens her body and makes pregnancy possible. You do so much. If you were to mark your occupation on your passport, what would it be? Educator? Health practitioner? Author? I am a patient and health advocate, an activist and an author. Congratulations on the 20th Anniversary of “INCONCEIVABLE.” What other things, books, workshops do you have in the pipeline? Once a month I lead a free teleconference and I usually have different topics and I love engaging with people one on one. I also lead an online teleconference series – an introduction to my work where people have an opportunity to engage with me one on one. The next one starts November 1st and people come from all over the world, calling in. I also teach in-person workshops and November 11th is the next date. And I’m working on an online video series that will also make it easier for people to participate in the program any time they want through my guidance. 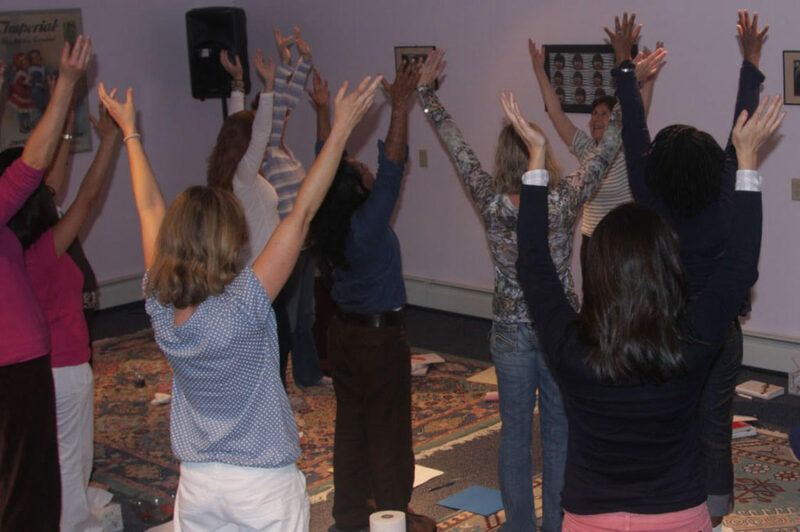 I’m also preparing a training for health practitioners, psychologists, doctors — so professionals can incorporate this practice and its philosophies. Oh! And I’m coming out with two books in 2018! One is a book about applying this work to peace activism and my husband is coming out with a wonderful book “Cooking to Conceive the Inconceivable” and it’s about fatherhood. I encouraged him to write that book because I have witnessed so many men going through it with their partner and they never had a place to voice their concerns and tell their side of the story. It’s his memoir. He’s also a CIA trained chef so it has recipes in it as well! You have so much valuable information in you and you contribute to our society in so many ways. Thank you. Where’s the best place to find you? ++ Thank you so much, Julia. For this interview, for this new perspective on infertility – and for everything you do.